experiences! What are you waiting for? Pick your room! 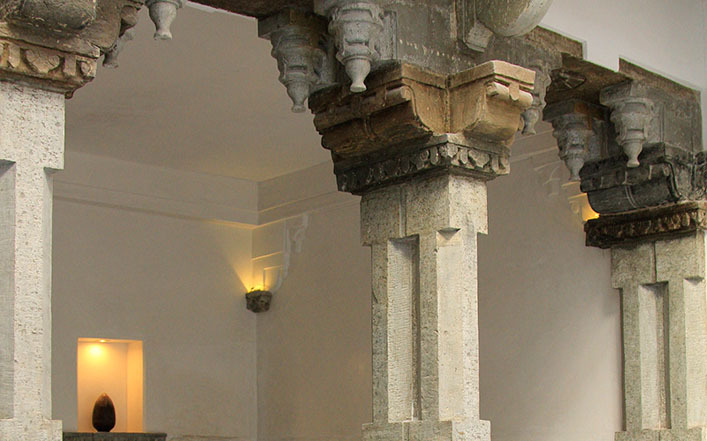 Haveli is the term used for a private mansion in India with historical and architectural significance. The word is derived from the Persian word hawli, meaning “an enclosed place”. In the region of Rajasthan, the havelis were status symbols for the Marwaris as well as homes for their extended families, providing security and comfort in seclusion from the outside world. They usually contain a courtyard with a fountain in the centre and two to three stories high. Madri Haveli originally belonged to Maharana Swarrop Singhji.